Mr. V. Ranganathan was the founder and President of Vidyarambam Trust. He worked in the Automobile sector in India and in the Middle East and served as a Managing Trustee in Vidyarambam Trust. He devoted his time entirely to the Trust until his last breath. Mr. C. K. Sridhar is an Engineering graduate from Annamalai University. He is currently the Director of a company which is involved in Construction, Energy and Engineering Consultancy Services.He is also the President of Annamalai University Engineering and Technology Alumni Association, Member of Ramakrishna Mission Ashrama, Member of Indo-American Chamber of Commerce and Member in ABK AOTS DOSOKAI, Indo-Japanese Linguistic, Cultural, Technical Trade and Business. Mrs Prema Veeraraghavan has been involved in the educational field for more than three decades. She has great experience in developing teaching methodologies for primary education. She has created set of science laboratory using improvised low cost materials in various city and rural schools. She is contributing science articles for Young World. She is working with dropout children from various schools to put them back in main stream. She has won CASTME U.K. award in the year 1998 for innovative teaching. Mr. V. Sriram is the Chairman of Walnut Group, a healthcare company representing organizations from Switzerland and UK. Dial a Diaper, a novel concept in the diaper industry, is his brain child. Mrs. Lakshmi Swaminathan is the President of Administrative Tribunal, ADB. She is also an eminent Jurist in administrative law and was the Vice Chairman of the Principal Bench at Delhi of the Central Administrative Tribunal. Mr. Y. Sridhar is a Chartered Accountant by profession and a partner in M/s Ramesh and Ramachandran Audit firm. He is a member of Ramakrishna Mission Ashrama. He devotes his time for social causes. Mr. Sourirajan is a Mathematics Graduate from Madras University. He is currently a software consultant. He was Chief Business officer for Financial Technologies and Director in Inautix Technologies. Before this, he was one of the promoters of Ritechoice Technologies. One of the areas where Mr.Rajkumar assists Vidyarambam is in marketing and metrics development. Mr.Rajapandian holds an MPhil degree from Madras University. He has experience in various capacities of school education department in Tamil Nadu. He has been the DEPUTY DIRECTOR(ADMINISTRATION AND PLANNING) inDirectorate of Teacher Education, Research and Training D.P.I Campus, Chennai. At present he is working as an Educational consultant at South Indian Educational Trainer's Academy, TamilNadu. Mr. Prasad did his BE in Electronics and Communications from PSG College of Technology, Coimbatore. He was the vice President of Tech Mahindra ltd, Bangalore. Presently he is working as aConsultant for an Information Management company in their growth strategy development and implementation. Mrs. Iyer holds a Ph.D. in Education (curriculum), B.Sc. Zoology, both from Madras University; an M.Ed. from Madurai Kamaraj University. Living Science Creatively from Schumacher College, Devon, UK on a full scholarship. Studied Oceans and their Biodiversity from several online courses conducted by NOAA, USA. She has experience in all fields related to school education and also have learnt and taught abroad (at UK) for a brief period. She is an Independent Consultant and Author in the fields of Education and Environment. Suseela Raghavan has been serving the field of education for more than three decades. She has diverse background and is contributing to curriculum development for formal and non-formal education. She is a writer of Geography text books for middle schools. She is an active member in Geography Association and has organised field trips for teachers and students to reinforce the basic concepts of Geography. Ms. Malathi Gopalakrishnan is in the field of education since 1964 and is serving as Principal of Primary Schools for about two decades. She has organised Teachers Resource Centers, Teachers Educational Courses, conducted Workshops, In-service Training, developed Learning Packages and Primary Curriculum Material. She has won CASTME U.K award twice for innovative teaching and also won National Award for Children's work. Ms. A. Meenakshi M.Sc., M.Ed. Ms. Meenakshi is in the field of education as a higher secondary school teacher for about 40 years. She has conducted Workshops, In-service Trainings and Educational courses. She has authored Science text books for Primary and Chemistry text books for middle schools. She is also practising Pranic Healing and has helped many people getting cured from acute illnesses. Mrs. Revathi Sreenivas has undergone Kindergarten training. She has been in the field of primary teaching for the past 23 years. She captures the young mind through music and story telling. She is an excellent Arts and Crafts teacher. She has been conducting classes in home science for National Open School children. Mrs. Prema Daniel has a Post Graduate degree in Home Science specialised in Child Development. She started her career as a lecturer in Govt. College, established and ran a nursery school in Salem, and served S.C.S. Kothari Academy for Women, Chennai for 18 years in the capacity of a Coordinator in the Department of Early Childhood Education. She has developed course material for Pre primary Teacher Training and Early Childhood Education for Tamil Nadu Open University. She has visited Conestoga College, Toronto, Canada on an exchange programme and has rich experience in the field of Early Childhood Education. She has co-authored the book 'Play Activities for Child Development' with Mrs. Mina Swaminathan, and has developed and edited many other books related to pre-school children. 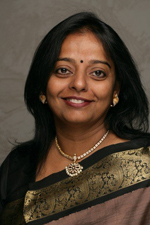 She is well known in the whole of South India as an expert in Early Childhood Education. She runs a Centre for Training and Resources in Early Childhood Education in Chennai. 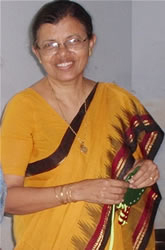 Mrs. Uma Shankari Chandrashekaran M.A (Psychology) trained in Special Education for Mentally Handicapped Children, obtained a diploma in Early Childhood Education and has done a Course on "Educational Implications of Bilingualism & Multilingualism in Early Childhood", at Mount Carmel Training Center, Haifa, Israel. Having served as Special Teacher for Mentally Handicapped Children for about 8 years, she has started and is running her own Pragati Pre-school in Neyveli for the past 14 years. She has participated in various organizations to develop curriculum for Early Childhood Education. To her credit, she has translated into Tamil the book "Play Activities for Child Development" written by Mrs. Mina Swaminathan & Mrs. Prema Daniel. She has been a Resource person for training programmes conducted by Vidyarambam Trust and Organisation of Muslim Educational Institutions in Tamil Nadu. 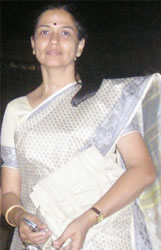 Mrs. Raman is a renowned mathematics teacher with 35 years of experience. A lover of maths and math teaching, she runs a maths activity centre - Dots 'N' Digits, which offers an opportunity for children from four to 14 years to explore and discover maths in a playway method. The Centre provides hands-on experiences to children through games and activities that seek to stoke up their interest. Ms. Vijayalakshmi has designed a number of fascinating games, math kits, and puzzles that intend to explore the basics of mathematics. With an extensive knowledge in the subject, she has conceived a methodology and developed books that approach mathematics logically. The materials are also aligned to school curriculum (all boards) and help to reinforce school-based learning. The math lab at Dots 'N' Digits facilitates a positive approach to teaching and learning, where one is allowed to make mistakes and learn from them. As a school teacher in well-known city schools, she had composed poems, songs and choreographed dance drama to explain various concepts. She was lauded by former President of India Abdul Kalam at one of the presentations of dance drama by her students. Mrs. Vijayalakshmi has won many awards such as the Best Teacher Award by Sri Ramanujam Academy of Math for Talents. She has innovated many game models and was team leader for the Project on 'Time' and won International Standard Award in Maths. Mrs. Jyothi has over 25 years of varied work experience in India and Canada; with 13 + years in Teaching, Training and Development Industry. This includes ITES, ITIS sector as an expert in Soft Skills and Business Communication Training, including corporate clients such as Bank of America, TCS, CTS, Murugappa Group, Ericsson, CII et al. Mrs. Jyothi is as passionate trainer / teacher, and is not only proficient in the creation of customized language, soft skills and behavioural skills training programs but also in delivering unique learning programmes that are derived from the context of professional workplace. Among many accreditation, she holds a Train the Trainer certificate from Dale Carnegie institute, and an advanced Business English certification from BCL. Mrs. Jyothi has also worked as a primary Montessori teacher and has experience as a nursery and kindergarten teacher.Mrs. Jyothi also has the unique experience of running the oldest daily "Swadesimitran" for several years, an experience that has come in handy in her role as a corporate trainer. Mrs.Akila has over 19+ years of varied experience as an Educationist - covering schools and corporate domains. As a teacher in a prestigious school in the city (Chennai) she was responsible for imparting English and Social Sciences, and also actively involved in training students in oratory skills, preparing them for quiz competitions, and in the drama club. As a corporate trainer she was responsible for voice and accent training for several corporates including Dell, Microsoft and Amazon. A passionate teacher with a love for history and arts she is currently with Storytrails - where she heads research, creates scripts, and imparts training for the young storytellers. She has enthralled many audiences over the course of four years and continues to do so.